The other night I dreamed that the nursing home where I used to work was adding on a maternity ward. 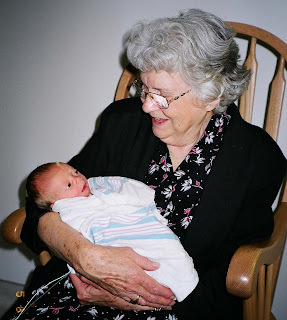 All the old ladies were having babies thanks to scientific advances in the field of geriatric obstetrics. Obviously, the interpretation of this dream is that I feel like everyone but me is having a baby. I know it's not true, but it certainly feels true when I'm out and about in the ordinary world. For now, I'm trying to keep busy and have fun for these last few weeks of summer despite the unsuccessful IVF. Next week I'll be able to talk to the doctor about the plan going forward. I'm also working on getting an appointment with a perinatologist so we can get a second opinion on our case before we do another IVF. It feels silly to be calling the perinatology clinic since I'm Extra Super Infertile, but I want someone to take a fresh look at my case. I don't think it's silly to get another opinion! You never know what another eye on your case would do... Could be a good thing and sure won't hurt!